This one is new type of photography which was taken around a year ago at the beaches of boracay. Boracay is one of the well known beaches around the globe, many tourist were attracted to its beauty because I have no idea at all why. But as far as I observed, boracay was really a nice place, the sands were really white and super grainy just like a powder, parties and stalls on the side of the beach and almost a 2 kilometer walk around the beach. We should also not forget the Sunset of Boracay. 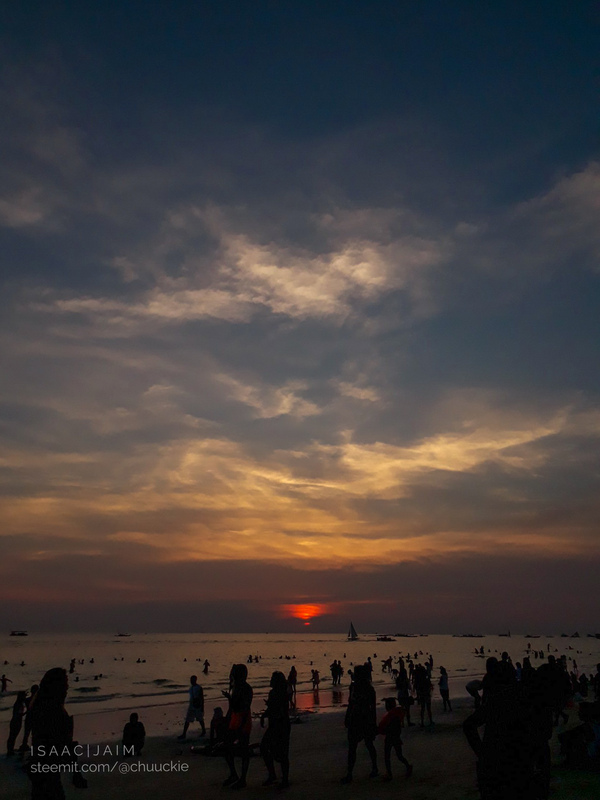 The sunset of Boracay was perfect, although there were a lot of people gathering around because of the sunset. This time around, I had my brand new phone at that time – so I decided to take a photo using my smartphone which this was the result. The settings were automatically set because it is a smartphone, knowing that we can set this manually but it is best to automatically set it and let your phone decide which one is the best setting. So, I have a J7 Prime with me. Its a mid-ranged phone that can take awesome 13 Megapixel photos with a 2.8f aperture (I believe). Now becase it is not in a RAW file format, I still edited the photo in terms of JPEG file format. I still have to play with all of the scales because I was new to photography and I forgot the manual scaling adjustments out of it. If you want to choose a best smartphone camera. I think you should be researching more about Megapixels and its Aperture. Again, to be fooled by Manufacturers that offers a Smartphone Camera with 22 Megapixel camera. Megapixel matters only if you have an awesome aperture of 1.2 or 1.8. Stick with numbers 1’s for low light photos. The best camera so far I know is the iPhone X – with a 12.1 MPX (I guess – no time to research). What are your own opinions about the photo, do I still have to improve it? P.S. Photo and Watermark is Official mine.